Gaughan: Bills Make The Playoffs If….? Here are the questions that need to be answered if the Buffalo Bills hope to make the playoffs for a second straight year. I’ll also look at the other teams that will be shooting for the sixth playoff spot and look at their questions in the future. The Bills ranked 26th in defense last year. This might be a bit deceiving but there needs to be improvement on this side of the ball for the Bills to contend for a playoff spot. Let’s look at the strengths of the team on defense first. The defensive tackle spot should be a strength this year. The Bills got little from Marcell Dareus last year. You expect more Star Lotulelei and Kyle Williams as starters. Harrison Phillips and Adolphus Washington add nice depth for a position of strength. The secondary was the best unit on the team last year. The addition of Vontae Davis to go along with Tre’davious White, Micah Hyde and Jordan Poyer could rank up there with the best in the conference. The LB’s should be as good if not better. The early reports on Tremaine Eddmunds are off the charts good. Let’s just count on this unit being as good as last year’s linebackers. The only question about this defense is the pass rush. Trent Murphy, Shaq Lawson and Jerry Hughes need to improve the pressure off the edge. Lawson says he’s a changed man. We’ll see. Murphy is coming off injury and Hughes needs to return to double-digit sack form. If the Bills can get a consistent pass rush off the edge I believe they can be a Top 12 defense in the league. That would be a huge improvement from last year. Here’s where the huge questions lie. Let’s start with the offensive coordinator. 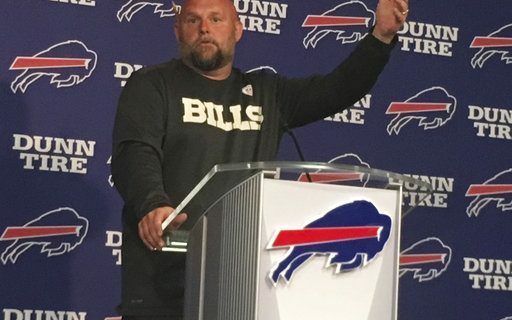 Brian Daboll. Daboll has to be an improvement over Rick Dennison. Dennison’s offense was not appropriate for Tyrod Taylor or the offensive line. He changed the blocking schemes that were so successful the previous two years. He changed the read option for Tyrod that had been so successful. I will assume that Daboll will construct an offense around his talent. This will be a huge upgrade from last year. The running backs are the strength of the offense. Shady McCoy needs to carry the load offensively. For me that means not only running the ball but as a receiver as well. I can see the Bills using Chris Ivory in the backfield and McCoy out as a receiver at times to hide the fact their receivers are inferior. Chris Ivory could be an important part of the offense this year because he gives the Bills flexibility in using Shady. Quarterback is a question. At this point it’s hard to tell who will win the job. It’s clear that the Bills will try to win this year without putting too much on the QB whoever that maybe. The offensive line needs to find replacements for Ritchie Incognito and Eric Wood. John Miller, Ryan Groy, Russell Bodine, Vlad Ducassee, Marshall Newhouse and Wyatt Teller are the six Bills that need to fill the three interior spots on the offensive line. The Bills need two guys to step up and be good and one to be at least average. The WR’s are the biggest question. Who will step up? If no one steps up then you have to count on three people as your leading receivers. Kelvin Benjamin, Charles Clay and Shady McCoy. The Bills will need to use McCoy more as a receiver. Adding someone before the season is an option as well. So here are the questions the Bills need to answer to make the playoffs? Who wins the QB job? Can they get a consistent pass rush from their defensive ends? What receivers will step up and make an impact this year? Can the Bills find three interior lineman out of the six to make this a decent offensive line? This may appear to be many questions but believe me the other team going for the sixth playoff spot have just as many questions to answer as the Bills. 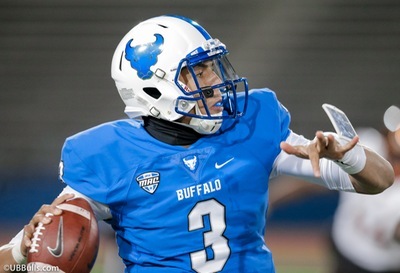 NFL Expert Greg Gabriel breaks down what it will take for Josh Allen to become a winning QB.